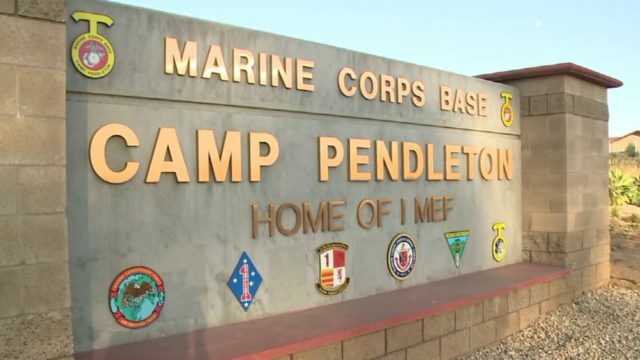 A Camp Pendleton Marine accused of driving drunk and causing a wrong-way crash that killed a father of two on a rural Bonsall-area road early on New Year’s Day pleaded not guilty to four felony charges, including murder, gross vehicular manslaughter while intoxicated and DUI causing injury. Adam Daniel Barooshian, 25, was ordered held without bail on Friday. He would face 15 years to life in prison if convicted of second-degree murder. The defendant was allegedly speeding to the east on the westbound side of state Route 76 near Via Monserate shortly before 4 a.m. Tuesday when his Lexus IS 300 hit an oncoming motorcycle ridden by 29-year-old Christopher Williams of Oceanside. Medics took Barooshian to Palomar Medical Center for treatment of superficial injuries. About six hours after the deadly wreck, the Massachusetts native was booked into county jail in Vista on suspicion of driving while intoxicated and murder. Barooshian’s blood-alcohol content was measured at 0.18 percent, more than twice the legal limit for driving, according to Deputy District Attorney David Uyar. The murder charge stems from a prior recent DUI charge still pending against Barooshian, CHP public-affairs Officer Mark Latulippe said. Barooshian will be back in court Jan. 14 for a readiness conference and Jan. 17 for a preliminary hearing.